The stunning S9 boasts a 5.8 inch infinity display, twin stereo speakers and a revolutionary 12 mega pixel camera with dual aperture. 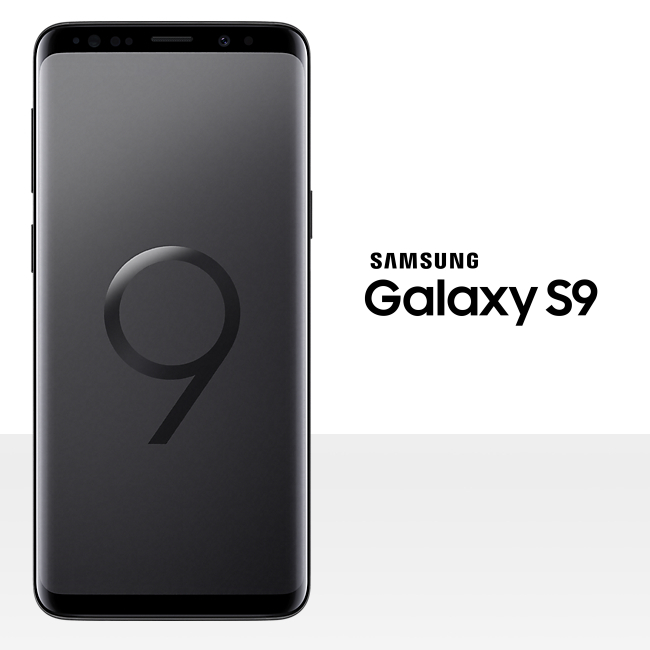 The Galaxy S9 is a top-end phone which is perfect for watching movies, listening to your vibes and performance gaming as well as letting you snap amazing quality pictures and video. Samsung have equipped the Galaxy S9 with a superb 12MP Dual Pixel lens for capturing the perfect scene. It’s easier than ever to get amazing results in any condition, the f1.5 aperture Super Low Light feature gives pin-sharp results, even after the sun has set whilst the f2.4 aperture makes mastering daylight shots a breeze. To keep everything steady and in focus there’s Optical Image Stabilisation allowing you to capture action shots as well as Super Slow-Mo at an unbelievable 960fps! You’ll be on the edge of your seat as your movies play to the edge of your phone! The iconic Infinity Display with it’s curved, end-to-end screen spans uninterrupted for your viewing pleasure. 5.8 inches of eye-popping, big-screen entertainment without being bulky or heavy to hold makes the S9 one of the best smartphones for enjoying content from your favourite channels. Dolby Atmos surround sound with 3D audio takes your listening experience to the next level. Stereo speakers tuned by AKG provide you with louder and clearer audio that’s 1.4 times more powerful than previous Galaxy smart phones. Simply snap a selfie and transform yourself into a 3D Emoji! What will you look like? Instead of sending friends those standard emojis that everyone and anyone has … you can turn your emoji into stickers and really express yourself creatively. 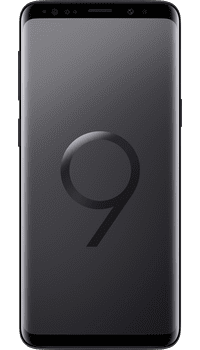 The new S9 still features that fantastic 5.8 inch Widescreen Quad HD infinity display along with wireless fast-charging, iris scanning security and a water resistant build. Both phones are more than impressive with amazing consumer reviews to back them up, however the S9 improves on the S8 with the inclusion of state-of-the-art audio from Dolby Atmos surround sound and those AKG tuned stereo speakers. Oh, and Galaxy fans will love that there’s a new colour scheme available, a Lilac Purple edition has joined the Coral Blue and Midnight Black montage.